My family has a lot of Halloween decorations. We also have a lot of Christmas decorations. But we don't have any Thanksgiving decorations. I have always loved Thanksgiving, mainly because my birthday is generally the same week as the holiday, but also because I love food and family. 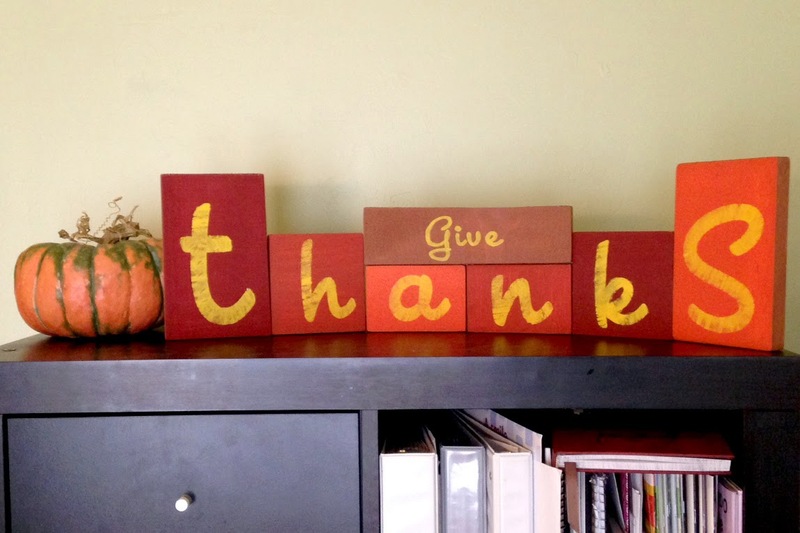 To create these reversible blocks, I purchased two bags of wood pieces from Hobby Lobby. If you have the tools handy, you could make this using a 2 x 4 cut to various lengths for much less than I paid. I chose wooden squares in three different sizes for my letters. I measured the blocks and laid out my text in Illustrator first, so that I could choose my fonts and see how it would look to scale. I painted all my blocks using craft paint in a variety of colors. This required several coats of paint, especially on the lighter colors. This was the most time-consuming part of the project -- waiting for the paint to dry between coats. For the larger letters, I created a stencil. I printed out each letter, then cut them out. I laid the paper that I cut the letter from on top of the block, then used a sponge paint brush to dab the paint on unevenly. 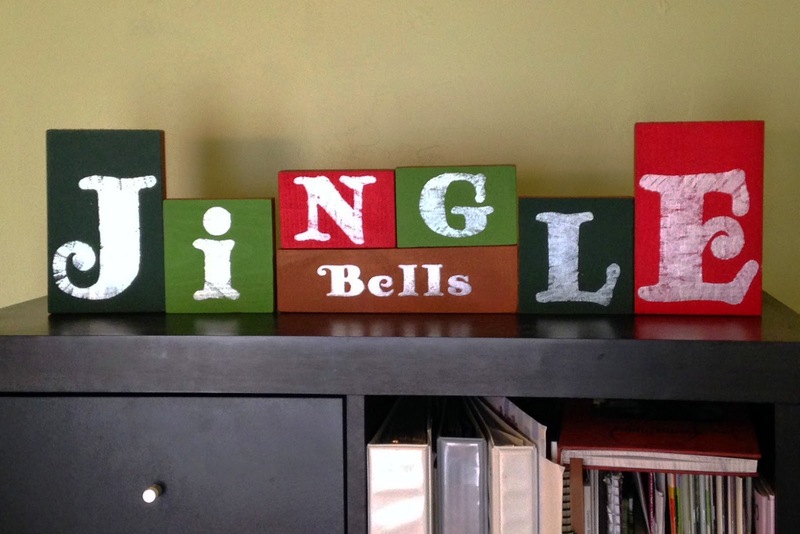 For the longer block with smaller letters ("Give" and "Bells"), I laid the printed word on top of the block and, using a ball-point pen, traced around the letters, indenting into the wood below. Once the outline is indented on the wood, I used a small paint brush to fill in the letters.